"Ndugu" is a gentleman of Congolese descent, an unknown in the United States but not without a record for those looking to go the extra several miles in their investigation. January 2nd, 2008 - Ndugu meets Charlotte Corday for the first time when she visits the Village. February 3rd, 2008 - Ndugu strikes a deal with Charlotte when she returns to the Village. February 9th, 2008 - Charlotte and Pinehearst live up to their side of the deal and Ndugu confronts an Enemy. February 10th, 2008 - Charlotte takes Ndugu out to acquire some more appropriate clothing. February 20th, 2008 - Ndugu pays a late night visit to Charlotte. 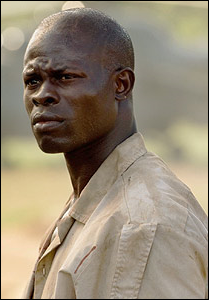 February 21st, 2008 - Charlotte brings Ndugu along to plan for a strange mission. February 22nd, 2008 - The aforementioned strange mission and the result. October 16th, 2009 - Ndugu resurfaces after many months on the run with Charlotte in Germany.